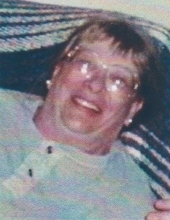 Christine Michell Harris, age 63 of Lincoln, passed away on January 14, 2019. She was born in Grand Island, NE on February 7, 1955 to Phil and Corlou Harris of Doniphan, NE. Christine lived a rich and fulfilling life and was a very memorable one to everyone who knew her in her journey of life. She was a member of Henry H. Probst family of Cook, NE for numerous years. She is preceded in death by her parents, Phil D. Harris & Corlou Kruse and Brother, John Harris. She is survived by her Brothers, Mike (Karen) Harris of Surprise, AZ and Eric (Sue) Harris of Lincoln, NE; Sister Cindy Jorgensen of Omaha, NE; Zach Mahoney of Lincoln, NE and many other relatives & friends. To send flowers or a remembrance gift to the family of Christine M. Harris, please visit our Tribute Store. "Email Address" would like to share the life celebration of Christine M. Harris. Click on the "link" to go to share a favorite memory or leave a condolence message for the family.